2. BILOKOROVYTSKE limestone mining Zhytomyrska 32018 thou.t. 6. GRYMNIVSKE native sulfur mining Lvivska 63708 thou. 27. STARUNSKE Ozokerite (mineral wax) mining Ivano-Frankivska 61300 thou t.
30. PIVNICHNO-SHEVCHENKIVSKE flux limestone mining Donetska 71505 thou t.
31. ZATYSHANSKE refractory clay mining Donetska 93579 thou t.
32. KRYVORIZKE (FRUNZENSKE) dolomite 1-2 class mining Dnipropetrivska 111834 thou t.
33. PIVNICHNO-SHEVCHENKIVSKE dolomite 1 class mining Donetska 116384 thou t.
34. PRAVDYNSKE talc-magnesite mining Dnipropetrivska 105134 thou t.
35. BLAGODATYIVSKE sand mining Kharkivska 86083 thou t.
36. RIPKINSKE sand mining Chernyhivska 41663 thou t.
37. TYAGYNSKE limestone mining Khersonska 16225 thou t.
38. ZAYTSIVSKE-2 gypsum mining Donetska 9914 thou t.
39. VOVCHANSKE gypsum mining Ivano-Frankivska 8504 thou t.
40. VOVCHYNETSKE gypsum mining Ivano-Frankivska 4579 thou t.
41. KAM`YANSKE gypsum mining Ivano-Frankivska 31571 thou t.
42 MEZHYGYRTSIVSKE gypsum mining Ivano-Frankivska 7000 thou t.
43. PALAGYTSKE gypsum mining Ivano-Frankivska 5114 thou t.
44. POPASNYANSKE gypsum mining Luganska 15388 thou t.
45. SKOVYATYNSKE gypsum mining Ternopilska 43902 thou t.
46. ZAVALSKE gypsum mining Khmelnitska 15109 thou t.
47. NOVOKRASNOTORSKE refractory clay mining Donetska 16649 thou t.
48. MARIUPOLSKE gneiss mining Donetska 254300 thou t.
49. VYSHNYAKIVSKE granite mining Zhytomyrska 45417 thou t.
50. DROVYANIY POST sandstone mining Zhytomyrska 30094 thou t.
51. ZBORIVSKE andesite-docite mining Zakarpatska 34422 thou t.
52. GULYAIPILSKE quartzite, sandstone mining Zaporizka 305833 thou t.
53. AKHTOVSKE granite mining Mykolaivska 43639 thou t.
54. KONOTOPSKE granite, migmatites mining Khmelnytska 28971 thou t.
55. KUDASHIVSKE granite, grey mining Dnipropetrivska 12524 thou t.
56. KREMINNE limestone mining Zakarpatska 9210 thou t.
57. DEREBCHINSKE limestone mining Vinnytska 16418 thou t.
58. DMYTRASHKIVSKE limestone mining Vinnytska 7164 thou t.
59. LYSA GORA limestone mining Vinnytska 13425 thou t.
60. SAPIZHANSKE limestone mining Vinnytska 5340.75 thou t.
61. STINA limestone mining Vinnytska 6364 thou t.
62. STINYANSKE limestone mining Vinnytska 35170 thou t.
63. ROGATYNSKE limestone mining Ivano-Frankivska 6252 thou t.
64. OLEXANDRIVSKE marl mining Luganska 22324 thou t.
65. TARASIVSKE marl mining Luganska 11446 thou t.
66. NOVOSVITLIVSKE limestone mining Mykolaivska 43327 thou t.
67. PODYNIVSKE limestone mining Mykolaivska 19607 thou t.
68. ALTESTIVSKE limestone mining Odes`ka 7288 thou t.
69. BULDYNSKE limestone mining Odes`ka 31961 thou t.
70. VYNOGRADNYNSKE limestone mining Odes`ka 6795 thou t.
71. GLAVANSKE limestone mining Odes`ka 27699 thou t.
72. GULYAI-BATIVSKE limestone mining Odes`ka 6223.1 thou t.
73. DUBIVSKE limestone mining Odes`ka 7231 thou t.
74. ZAGNYDKIVSKE limestone mining Odes`ka 23405 thou t.
75. ILLINSKE (KOVALIVSKE) limestone mining Odes`ka 7989 thou t.
76. KARPIVSKE limestone mining Odes`ka 11382 thou t.
77. KRASNOOKNYANSKE limestone mining Odes`ka 7012 thou t.
78. MALO-ADZHALYKSKE limestone mining Odes`ka 8595 thou t.
79. ORLIVSKE limestone mining Odes`ka 9541 thou t.
80. RYASNOPILSKE limestone mining Odes`ka 9603 thou t.
81. ULYANIVSKE limestone mining Odes`ka 28695 thou t.
82. FONTANSKE limestone mining Odes`ka 21300 thou t.
83. KHOLODNO-BALKIVSKE limestone mining Odes`ka 6194 thou t.
84. IVANKIVETSKE limestone mining Khmelnytska 17711 thou t.
85. SYVOROGIVSKE limestone mining Khmelnytska 11539 thou t.
86. KOBOLCHYNSKE limestone mining Chernyhivska 18038 thou t.
87. KOMARIVSKE limestone mining Chernivetska 16527 thou t.
88. VENDYCHANSKE keramzite clay mining Vinnytska 7391.6 thou t.
89. KHARTSYZSKE slate clayey mining Donetska 15329 thou t.
90. MUZYCHANSKE keramzite clay mining Kyivska 10995 thou t.
91. FASTIVSKE loam mining Kyivska 10364 thou t.
92. DUBIVSKE slate clayey mining Luganska 20392 thou t.
93. NOVOZVANIVSKE argillite mining Luganska 12818 thou t.
94. ORLIVSKE keramzite clay mining Odes`ka 21020 thou t.
95. SHEMYLIVSKE Keramzite clay mining Poltavska 10497 thou t.
96. MAYAKIVSKE-2 chalk mining Donetska 23403 thou t.
97. BILOUKRAINSKE chalk mining Luganska 21437 thou t.
98. SHECHKIVSKE chalk mining Sumska 16270 thou t.
99. PUSHKARIVSKE chalk mining Chernihivska 24841 thou t.
100. VODYANSKE siliceous rock mining Luganska 17651 thou t.
101. GOSTROMOGYLSKE siliceous rock mining Luganska 21662 thou t.
102. ARDIVSKE perlite mining Zakarpatska 32717 thou t.
103. OLEXIIVSKE sand for concrete, road construction. mining Dnipropetrivska 1904 thou. cubic met. sand for concrete 10191 1904 thou. cubic met. 104. SAMARSKE sand for silicate bricks mining Dnopropetrivska 10213 1904 thou. cubic met. 105. BILOSARAYSKE sand for concrete, building mortars mining Donetska 19037 1904 thou. cubic met. 106. KUTEYNIKIVSKE sand for foamed silicate, construction mining Donetska 54736.8 1904 thou. cubic met. 107. YAMPILSKE sand for building mortars mining Donetska 52606 1904 thou. cubic met. 108. DIDKOVYTSKE sand for ballast, building mortars mining Zhytomyrska 24528 1904 thou. cubic met. 109. DIDIVSKE sand for concrete, building mortars mining Zakarpatska 18360 1904 thou. cubic met. 110. KOMYSHUVATSKE sand for concrete, building mortars mining Zaporizka 33744 1904 thou. cubic met. 111. GATNE sand for silicate bricks mining Kyivska 44834 1904 thou. cubic met. 112. KOZYNSKE sand for road construction, building mortars mining Kyivska 10528 1904 thou. cubic met. 113. OBUKHIVSKE sand for silicate brick, building mortars mining Kyivska 14087 1904 thou. cubic met. 114. BORIVSKE-2 sand for silicate brick mining Luganska 15300 1904 thou. cubic met. 115. KONDRASHIVSKE sand for concrete mining Luganska 5328 1904 thou. cubic met. sand for silicate blocks, brick, building mortars 24155.7 1904 thou. cubic met. 116. KREMINSKE sand for road construction, landscaping and recultivating mining Luganska 16152 1904 thou. cubic met. 117. LOZYNSKE sand for concrete and building mortars mining Lvivska 15142 1904 thou. cubic met. 118. BALABANIVSKE sand for building mortars mining Mykolaivska 9280.9 1904 thou. cubic met. 119. MATVIIVSKE sand for silicate brick, building mortars mining Mykolaivska 14936 1904 thou. cubic met. 120. VELYKOMYKHAILIVSKE sand for silicate blocks, bricks mining Odes`ka 12823 1904 thou. cubic met. 121. VYLKIVSKE sand for concrete, silicate bricks, building mortars mining Odes`ka 12812 1904 thou. cubic met. 122. VILSHANSKE sand for silicate blocks mining Odes`ka 16710 1904 thou. cubic met. 123. OCHERETIVSKE sand for silicate brick mining Odes`ka 14472 1904 thou. cubic met. 124. GADYATSKE sand for silicate blocks, bricks mining Poltavska 22527 1904 thou. cubic met. 125. KREMENCHUTSKE sand for silicate blocks, bricks mining Poltavska 17368 1904 thou. cubic met. 126. BOGDANIVSKE sand for concrete, building mortars mining Sumska 34642 1904 thou. cubic met..
127. VOLYTSKE sand for building mortars mining Ternopilska 12275 1904 thou. cubic met. 128. VASYSHIVSKE sand for concrete, silicate bricks, building mortars mining Kharkivska 24408 1904 thou. cubic met. 129. KAMPLYTSKE sand for silicate blocks, bricks, building mortars mining Kharkivska 11964 1904 thou. cubic met. sand for silicate bricks, construction mortars 91053 1904 thou. cubic met. 130. PERESICHNYANSKE sand for silicate brick mining Kharkivska 10305 1904 thou. cubic met. 131. SEMENIVSKE sand for concrete, building mortars mining Kharkivska 15813 1904 thou. cubic met. 132. SHEBELYNSKE sand for silicate brick mining Kharkivska 749 1904 thou. cubic met. 133. ZBUR`YIVSKE sand for silicate brick mining Khersonska 12591 1904 thou. cubic met. 134. TSYURUPINSKE sand for silicate brick mining Khersonska 123731 1904 thou. cubic met. 135. KRUPETSKE sand for silicate bricks mining Khmelnytska 18382 1904 thou. cubic met. 136. POLYANSKE sand for concrete, building mortars mining Khmelnytska 17804 1904 thou. cubic met. 137. SILTSIVSKE sand for building mortars, ballast mining Khmelnytska 10304 1904 thou. cubic met. 138. SLAVUTSKE sand for building mortars mining Khmelnytska 10663 1904 thou. cubic met. 139. SOLOV`YIVSKE sand for silicate bricks, blocks mining Khmelnytska 15848 1904 thou. cubic met. 140. GORODYSHIVSKE sand for concrete mining Cherkaska 21446 1904 thou. cubic met. 141. ZOLOTYNKA sand for building mortars mining Chernigivska 17744 1904 thou. cubic met. 142. KAMYANSKE sand for concrete, building mortars mining Chernigivska 12331 1904 thou. cubic met. 143. CHERVONI GORY sand for building mortars mining Chernigivska 24703 1904 thou. cubic met. 144. YANIVSKE sand for silicate bricks mining Chernigivska 18846 1904 thou. cubic met. 145. ONUTSKE sand for building mortars mining Chernivetska 12302 1904 thou. cubic met. 146. TRUBIIVSKE sand-gravel mixture mining Zhytomyrska 10661 1904 thou. cubic met. 147. LYUBYNTSIVSKE sand-gravel mixture mining Lvivska 11656 1904 thou. cubic met. 149. STRASHEVYTSKE sand-gravel mixture mining Lvivska 14008 1904 thou. cubic met..
150. STRYISKE sand-gravel mixture mining Lvivska 13130 1904 thou. cubic met. 151. VASHKIVETSKE sand-gravel mixture mining Chernivetska 15919 1904 thou. cubic met. 152. VYZHNYTSKE sand-gravel mixture mining Chernivetska 12866 1904 thou. cubic met. 153. VYZHNYTSKE (CHORNOGUZIVSKE) sand-gravel mixture mining Chernivetska 47067 1904 thou. cubic met. sand-gravel mixture mining Chernivetska 41798 1904 thou. cubic met..
157. VENDYCHANSKE clay mining Vynnytska 11081.7 1904 thou. cubic met. sand 1359 1904 thou. cubic met. 158. BOGUSLAVSKE loam mining Dnipropetrovska 10888 1904 thou. cubic met. 162. NIKOPOLSKE loam mining Dnipropetrovska 11576 1904 thou. cubic met. 159. DONETSKE sand mining Donetska 1388 1904 thou. cubic met. clay 21568 1904 thou. cubic met. 160. ZAYTSIVSKE -2 argillite mining Donetska 16713 1904 thou. cubic met. 161. 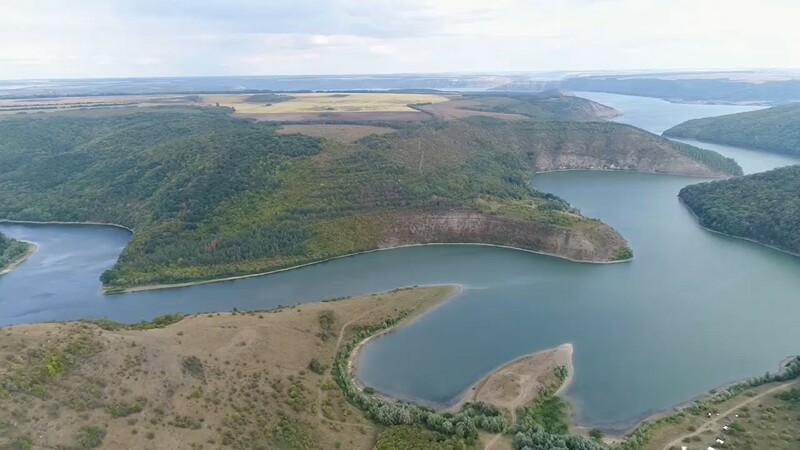 NOVOBAKHMUTIVSKE sand mining Donetska 1772 1904 thou. cubic met. clay 14781 1904 thou. cubic met. 162. SELYDIVSKE slate clayey mining Donetska 21110 1904 thou. cubic met. sand 171 1904 thou. cubic met. 163. ARDIVSKE clay mining Zakarpatska 22328 1904 thou. cubic met. 164. YASTREMSHYNSKE clay mining Kyivska 9923 1904 thou. cubic met. cups 2057 1904 thou. cubic met. 165. YELYZAVETYNSKE (STAVYDLYANSKA FIELD) loam mining Kirovogradska 66100 1904 thou. cubic met. 166. ZHYVAKHOVA GORA loam mining Odes`ka 14228 1904 thou. cubic met. 167. MARYANSKE limestone mining Dnipropetovska 132328 1904 thou. cubic met.